On a whim, and after watching someone make it in a jiffy (30 minutes), last friday i suddenly got inspired to bake some fish. Dragged my roomie to go to a fish shop and buy some. Fortunately there was some fresh Tuna just lying there, begging to be eaten :) So tuna it was, along with some australian red wine. Lemon zest - you can grate the rind of the lemon for it. Preheat the oven to 350 degrees. 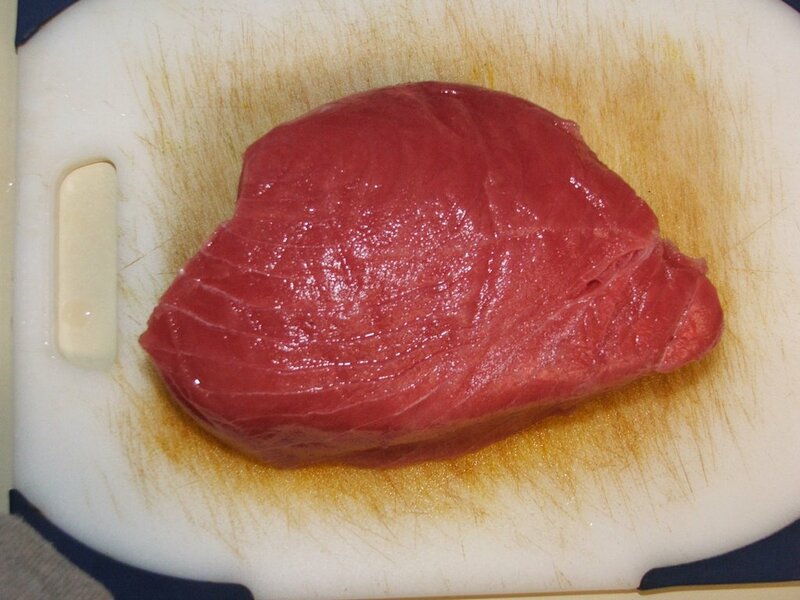 Cut the fillet into 1-1.5'' cubes. 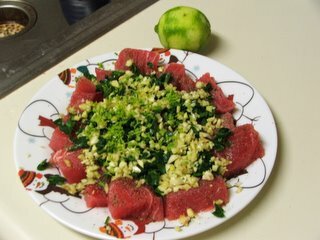 Cover it with the oil, salt, parsley, ground pepper, garlic and lemon zest. Mix well. Put it on a baking tray and bake till it is done as per your preference - medium-rare or well done. I prefer the latter, so it took me approximately 25 minutes to bake. 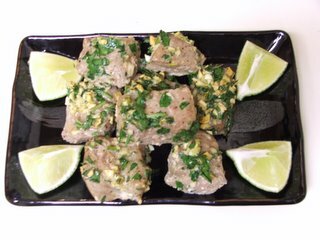 Put it up on the serving plate and squeeze some of the lemon juice for added flavour. Alternately you can grill the fish by putting it through skewers and grilling it on a grilling pan. Since i didn't have the pan, i baked. This is also a good starter. Thats it! Zimple ain't it? you need to change the background colors!!! The pictures look great but the font cant be read because of the contrast between the font and background!!! Just made this for the wife and myself...goooood stuff! Thanks for sharing.